The following post is by Anna Lawless-Collins, Associate Director for Systems and Collection Services at Boston University Law School, and is sponsored by West Academic. The Fineman and Pappas Law Libraries at Boston University added the West Academic Study Aids Subscription in April 2016, just in time to help with end-of-year exams, and it was an immediate hit with our students. We went on a marketing blitz (aided by materials sent by West Academic) and set out table tents, posted flyers, added slides to the law school's slide show, blogged about it, and handed out materials at the circulation desk. We even wore buttons encouraging students to ask us about using the materials. Students told our library director, Ron Wheeler, that they find the online versions infinitely better than the print reserve materials - not least because they can use them anytime and anywhere. They don't have to worry about other students returning the materials late or the print versions going missing. From the implementation end, we worked with the West Academic team to set up school branding on the page. Now, when students visit the page, it's clear that the library is providing access to the study aids. It also includes a "Most Popular at Your School" module that pulls real-time usage reports from our school. That, plus the "Recent Releases" module, shows students new and important content their peers are accessing. We are also using the free MARC record collection from OCLC to ensure discoverability in our catalog. We have had to do some tweaking to the records to make sure they are complete and to get the records to FRBRize with our print holdings, but that work is minimal when compared to the number of records we are adding with the monthly updates. The platform initially was only accessible from the Westlaw home page, but recently moved to an independent platform with IP access. This allows students to browse the titles as a guest, but they still have the option to create their own account and sign in to their own account within the platform. If they do that, they can take notes, highlight passages, and keep track of important information in their own accounts. Students have told our Head of Access Services that this platform is the easiest to use of all our eBook platforms. The usability, good content, and new features being added (like audio lectures) has led to high usage. For Fall 2016, we saw our usage rise steadily over the semester, reaching a high of well over two thousand document views for the exam period in December. The statistics themselves are very useful. We can see breakdowns by month, guest users by IP authentication, and unique visitors by month. We also get breakdowns showing which series are being used and how frequently, number of global searches, the top search terms, searches within books, and the top ten books searched. This gives us a good idea of what our students are looking for help with and we can use that to help guide our collections decisions in other areas. 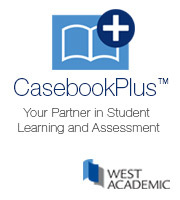 The Study Aids Subscription from West Academic has been a great investment for us. It's helped our students access materials more easily during stressful times, it's eased the burden on our print reserves collection, and it's created an enormous amount of goodwill for the library.